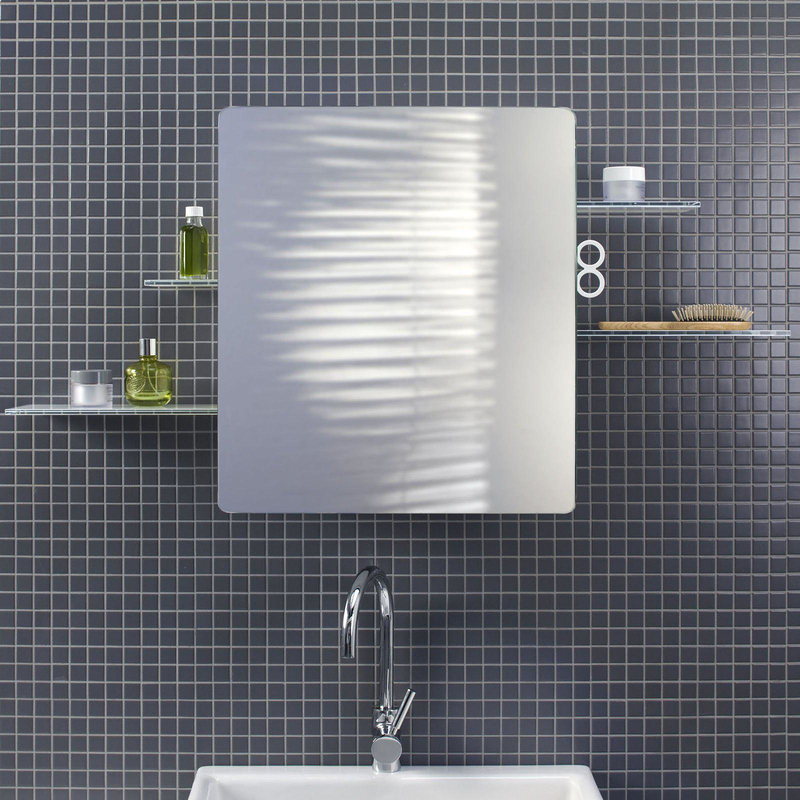 HomeBlogHome DecorKali Bathroom Mirror-Cabinet by Authentics. 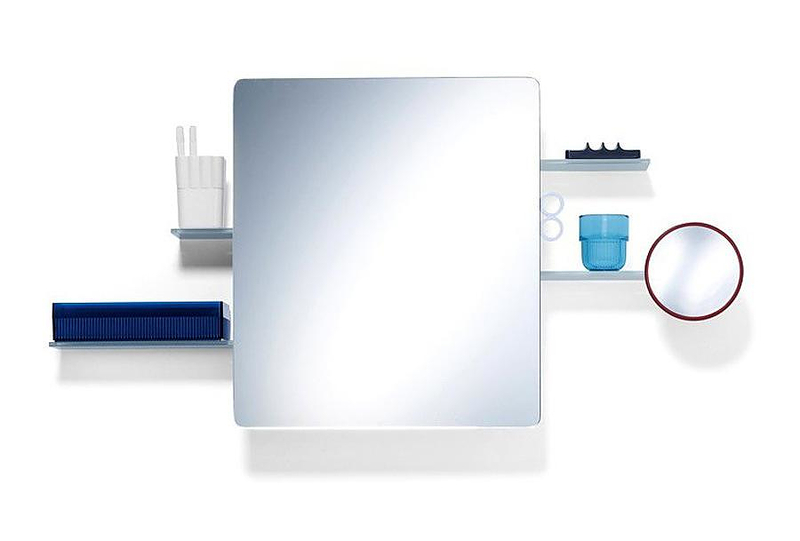 Kali Bathroom Mirror-Cabinet by Authentics. 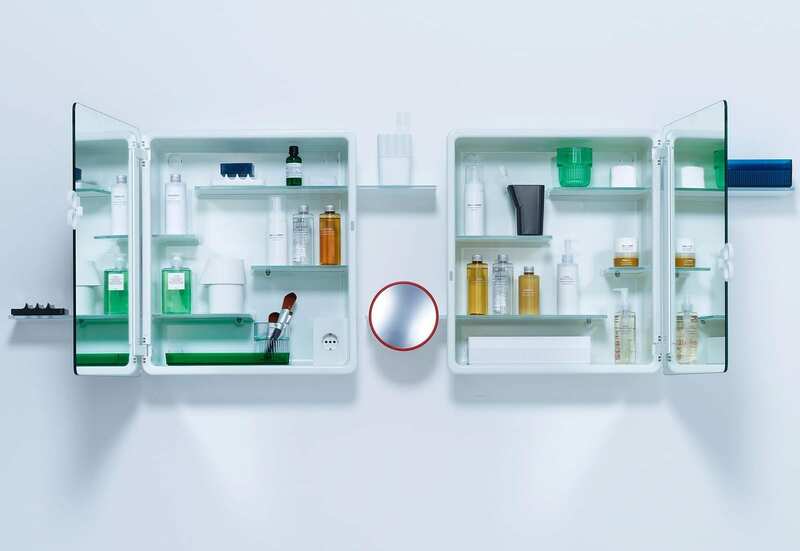 The “Kali Bathroom Mirror Cabinet” by German manufacturer Authentics looks sharp and elegant but also has a number of unique features that will make bathroom a bit tidier. 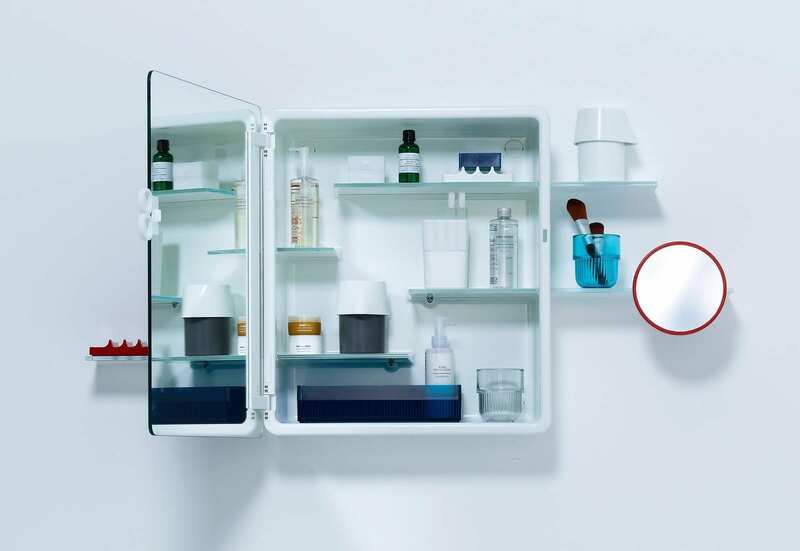 It was designed by London based design studio “Doshi Levien” (Nipa Doshi and Jonathan Levien) and is part of the “Kali Collection” of bathroom accessories. 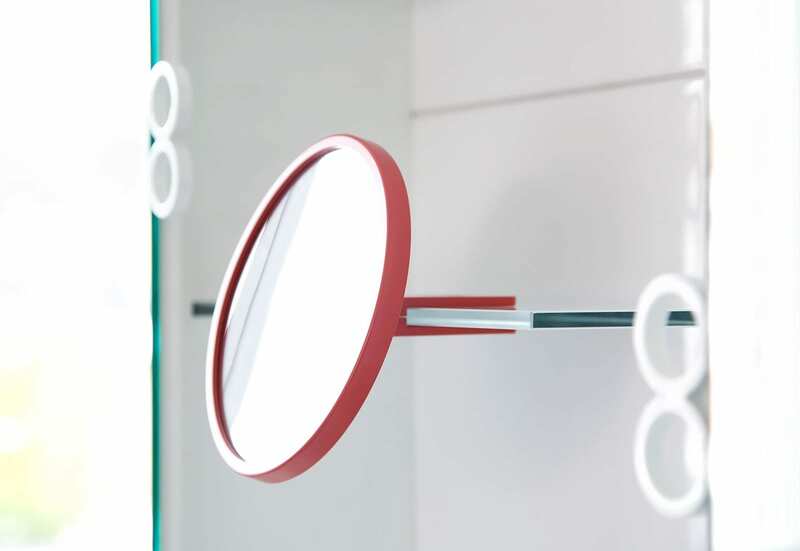 The main distinguishing point of the Kali Mirror, are the asymmetric glass shelves that also extend inside the cabinet. 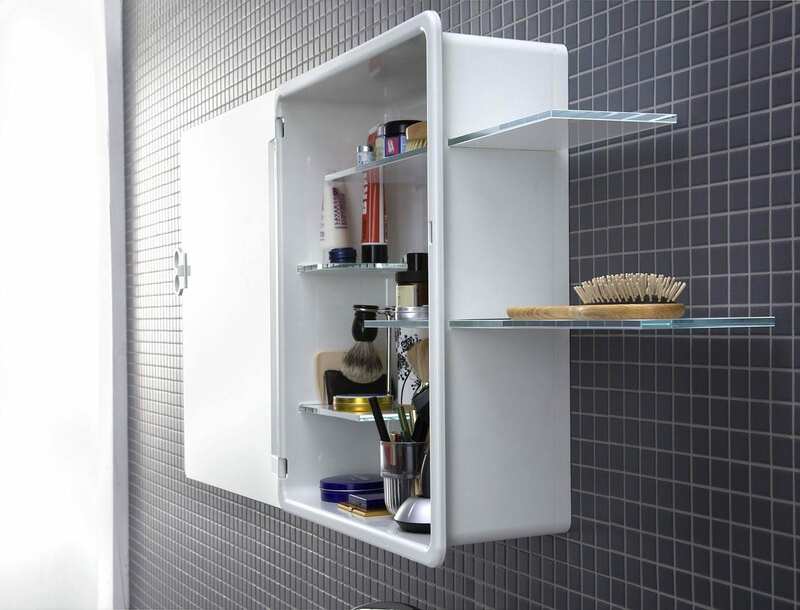 The idea is simple and ingenious, why do you have to drill your nice bathroom tiles multiple times, when you can have your storage shelving conveniently built-in into the mirror? 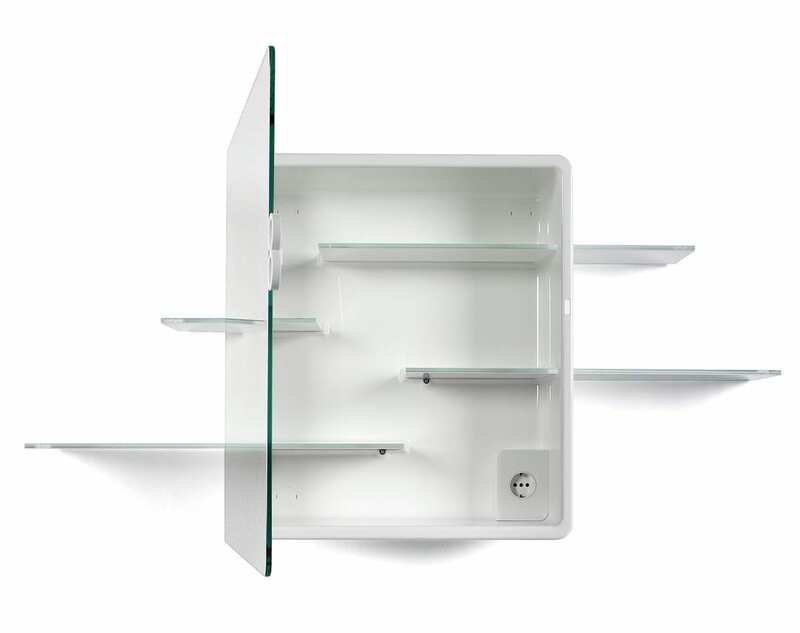 The end result is a sharp looking mirror together with a full size hidden cabinet and four shelves, all mounted together with just 2 bolts. In addition there are several clever details that will make your life a bit easier. 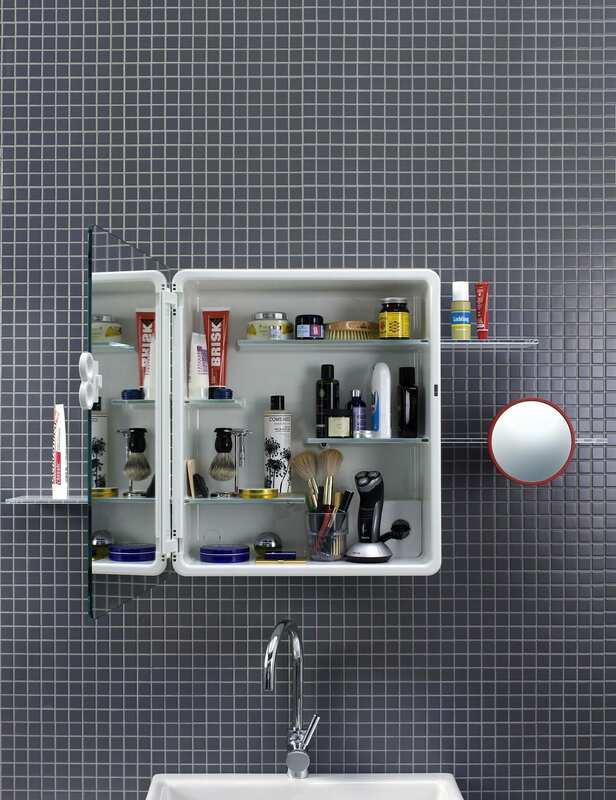 We particularly like the hidden power socket inside the cabinet, where you can charge your electric shaver or electric toothbrush without cables hanging around. 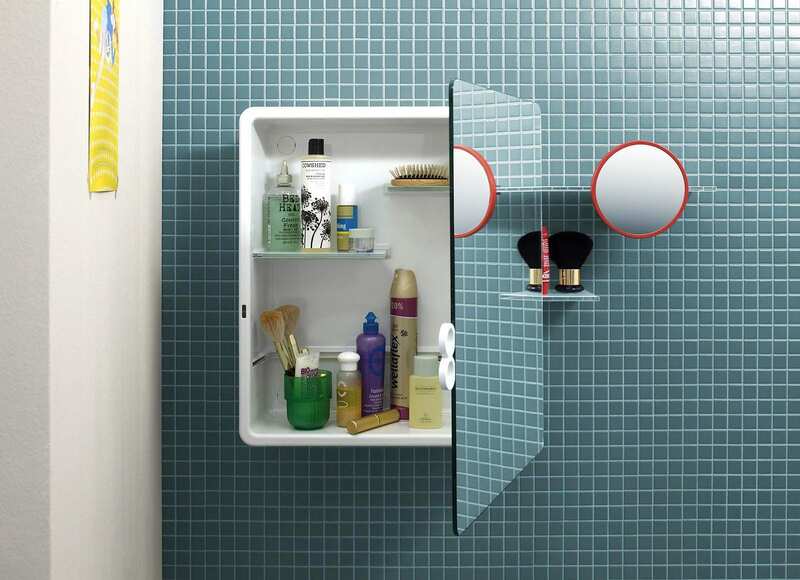 Also a nice touch is the door which is mirrored on both sides, so you can use the mirror while accessing the cabinet. A clever design, which is good looking but also very practical. 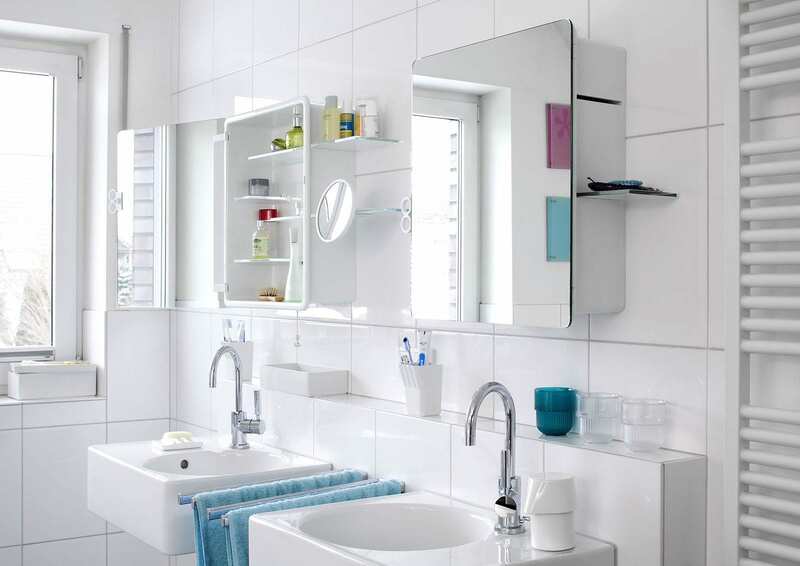 The body of the cabinet is also made out of white, robust ASA-plastic, a convenient material for the bathroom as it is waterproof and tolerant to humidity. 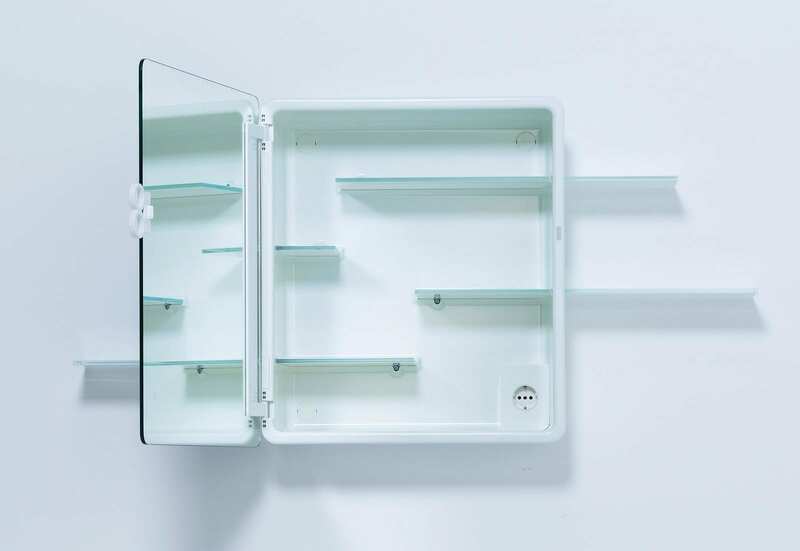 The four glass shelves can be slid into the cabinet on the left or right and lock into place. 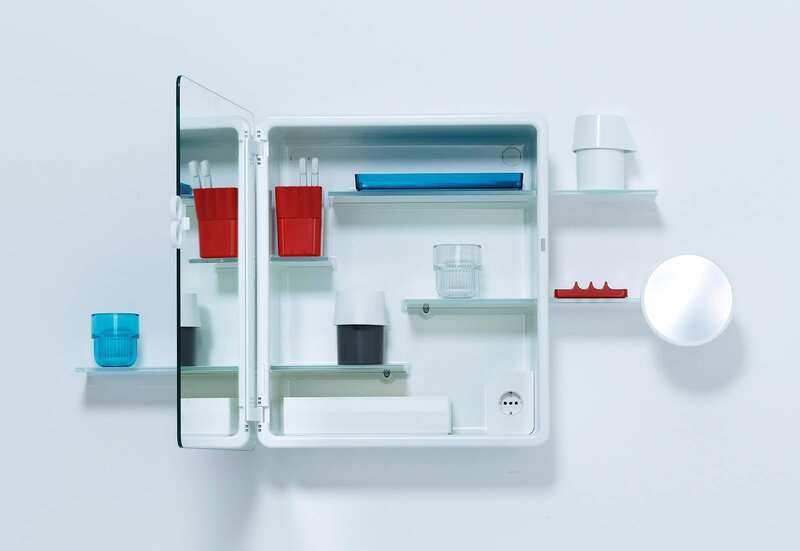 You can freely rearrange the shelves, in order to create the spaces you require for the items you need to store. 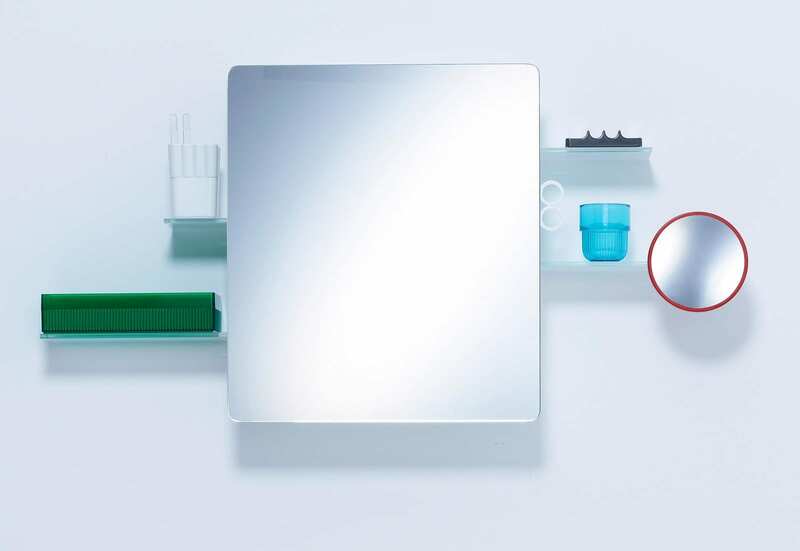 Finally Authentics offers a wide selection of accessories that complement the Kali Mirror-Cabinet, such as toothbrush tumbler, soap dish, boxes and cups. 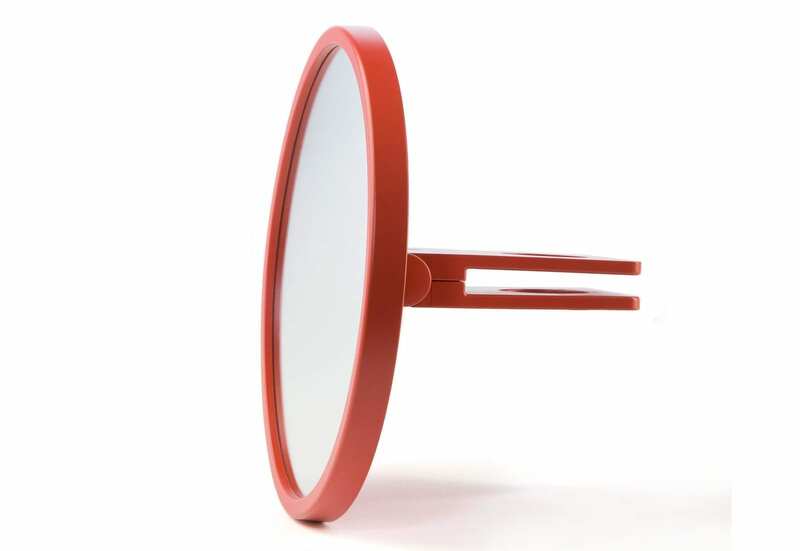 However our favorite accessory is definitely the “Kali” magnifying mirror which is effortlessly clipped into place on any of the shelves using a magnetic clamp. 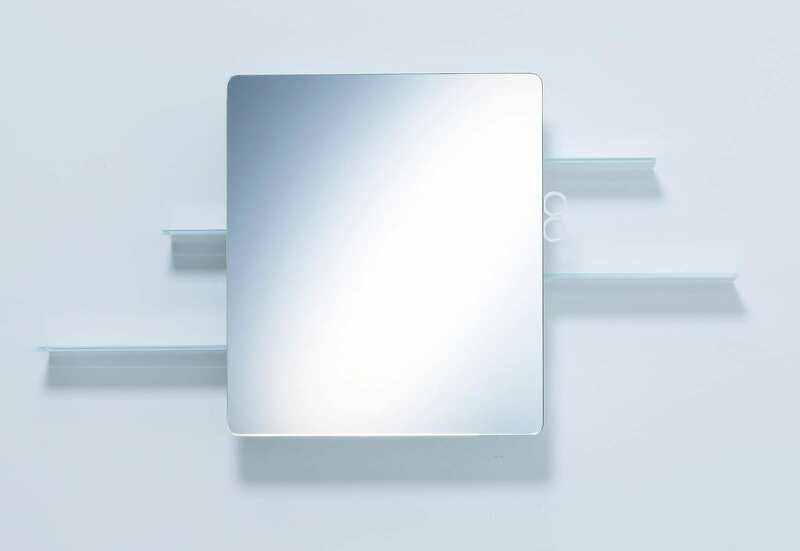 This is also a break-proof mirror so even if you drop it by accident, no worries. 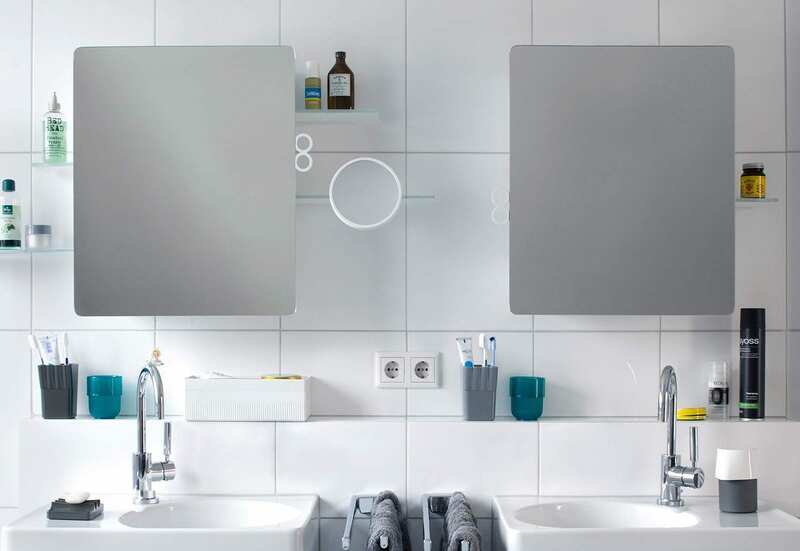 A great minimalist bathroom mirror will that combines form and function. 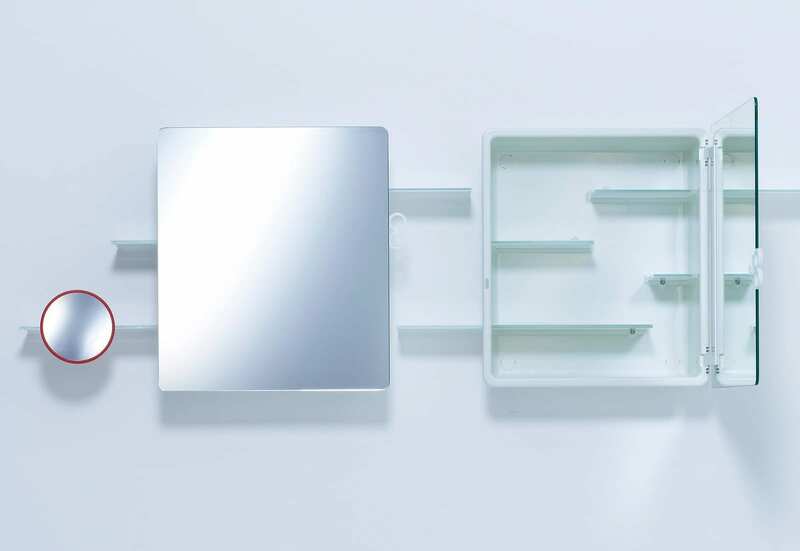 Tonelli Camicino Storage Unit by Marco Gaudenzi. Boca Do Lobo Mondrian sideboard.